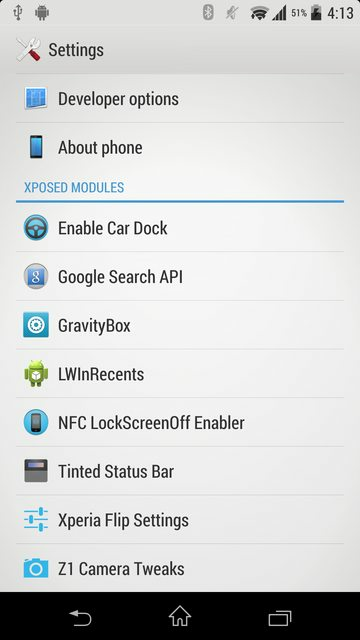 Injects links to Xposed module preferences into the stock Settings app. This will most probably NOT work on Samsung devices with the categorized settings app. Tested on a Sony Xperia Z1, based on stock AOSP code so should work on AOSP too. Show modules in last tab only on Samsung devices. All changes below except translations were done by Dzakus, they will be made configurable in upcoming versions. Xposed Installer header now at bottom, renamed to "More". 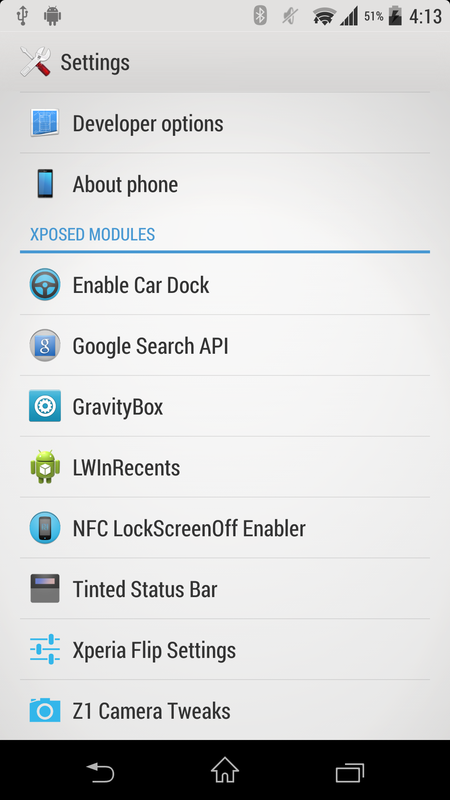 Xposed modules section now before the last section. Tasks are loading asynchronously, settings shouldn't slow down anymore.